This AWTWNS news packet for 8 December 2018 contains one article, with a late update. It may be reproduced or used in any way, in whole or in part, as long as it is credited. 7 December, 2018. A World to Win News Service. The Yellow Vest revolt that erupted suddenly among the usually ignored and voiceless lower classes in France’s rural areas and smaller cities has stormed into the centre of political life and may have blasted a hole in the dam through which much broader and diverse social discontent can erupt. “The house is on fire” is the assessment prevalent among the country’s “political class” – but the flames have been kindling. Following the shocks of the Brexit referendum in Britain, the election of Trump in the US, Merkel’s comedown in Germany and the establishment last Spring of a fascist-dominated governmnt in neighbouring Italy, Macron had been looked to and had accepted the mantle of “leader of the free world”, champion of the social-democratic order that has characterized the country and the Western world since World War 2. Jokes made the rounds among his admirers that France’s young President could walk on water. Now this champion of the free world, head of what only months ago was considered the most stable country in Europe, has armoured cars on the boulevards of Paris, and the City of Light is lit up by the flames of burning cars. The deep crisis of the world capitalist-imperialist system and the challenges this is posing to the major global powers has given rise to sharp contention between powerful opposing forces in the ruling classes in most major powers about whether to maintain the structures of bourgeois democracy, with parliamentary rule, the rule of law and the norms and institutions associated with this, or impose openly terroristic rule – a fascist order. As the existing order fragments and is hammered by this infighting, as the social fabric is stretched and ripped apart, masses in country after country have been swept into the maelstrom of events. As Macron scrambles to contain the Yellow Vest revolt, the fascist leader Marine Le Pen, who now more than ever is Macron’s most serious rival, is working to use the revolt to force her way into power by any means possible. Posing as the only person who can save France from even more chaos and bloodshed, she warned that if Macron doesn’t resign, the only way he can stop the Yellow Vests is to have people shot down. Since the good majority of French people are in sympathy with the Yellow Vests, that could have even more catastrophic consequences for the country’s political stability than the previously unimaginable step of the President’s stepping down. At this point, Macron has done two things few people would have predicted: making concessions to the kinds of popular demands he said he would never concede to, and staying silent in the face of rumours that the army could be called out. The government had deployed most of its security forces in a wide perimeter around the presidential palace at the foot of the Champs Elysées, one of the most luxurious avenues in the world. The authorities managed to avoid their worst fear, the storming of the presidential palace, but they were unable to dominate the fast-moving crowds that came together suddenly, attacked and then scattered and regathered elsewhere. Despite the cold, thousands defied the water cannons and armoured riot trucks rampaging under the Christmas lights, and glittering high-end shops were smashed and looted from one end of the avenue to the other. Barricades went up on adjoining streets to assert the crowd’s control of these territories reknowned for their ostentatious wealth. Hundreds of cars and half a dozen buildings were burned. In revenge for their humiliation, the police and paramilitary CRS security forces mercilessly piled on and beat isolated protesters. More than 400 people were arrested on Saturday 1 December, most held without charges for days and others sentenced immediately. According to the authorities, they were predominantly employed men in their twenties and especially thirties from “the provinces”, towns and small cities physically and above all socially distant from the capital. Some were searched and arrested as they returned to their parked cars with provincial license plates or were about to aboard trains for home. What propelled this defiance in Paris was something that could be called the “anti-Paris”, people in the provinces who believe they are being smothered by everything Paris represents. For three weeks, especially on consecutive Saturdays, hundreds of thousands of people acting in scattered small groups blocked highways and crossroads all over the country, in small towns and big cities alike, along with fuel depots, warehouses and other strategic facilities. Tending to be surprisingly older for such a physical protest movement, they include small business owners, the self-employed (like craftsmen, technicians and truck drivers), lower level employees (nurses’ aids, sales clerks), and workers in factories and other rural workplaces. The social composition seems to vary widely in different regions and even different neighbouring towns. Many are poor, others not so poor, but almost all are having trouble making it to the end of the month. One older woman in northern France told a reporter, “We’re the little people, not the littlest, but the middle of the little.” What initially triggered the protest was a problem common to rural, small town and suburban people in general, the increasingly painful price of fuel for their cars and trucks. Macron’s “reforms” were meant to make France more “business-friendly” but were broadly felt to be flagrantly inequitable. For instance, he all but abolished a wealth tax on the rich, while imposing a flat tax of 8.6 percent on all pensions regardless of income. The Yellow Vests chose to focus their anger on a government-decreed hike in the price of diesel fuel scheduled for 1 January. Their adopted uniform is the florescent emergency vest that signals drivers in distress. Typically the Yellow Vests consider themselves people who live by relying on their own efforts, and see the government as making it even harder for them to do that. With France’s once extensive local train networks gutted, more and more people outside Paris drive long distances not only for work but because public services are rapidly receding from rural areas. They feel despised by the Parisian “elite” or “the upper caste”. Some refer to themselves as the “sans dents”, the “toothless people” as the aristocracy used to call the peasants, a joke, but a bitter one where there are very few dentists and false teeth are a luxury. Macron justified the diesel tax as key to France’s ecological transition. But not only would the tax hit poorer people hardest, Macron has maintained France’s heavy reliance on nuclear power. Critics also pointed out the hypocrisy of the government, which had encouraged people for years to buy diesel vehicles in order to prop up France’s automotive industry, a pillar of French industry and the whole economy, against ever fiercer global competition. All this amounts to shameful hypocrisy in a country whose flagship company is Total, a leader in pillaging the world’s natural resources and imposing carbon fuel dependence. The mainstream of the Yellow Vest protest, while fueled by anger at Macron’s reforms and the destruction of the country’s safety net and the outrageous inequalities that have been aggravated since the 2008 crisis, tends to look back to the “Trente Glorieuses”, the Glorious Thirty years of advancing France’s economy after World War 2, and especially to the way things used to be, or at least the way they were “supposed” to be back then, when there seemed to be a social contract between those on high and those below in which everyone benefited, at least a little. It’s no accident that in the beginning, and still today, when confronted by the police, the Yellow Vests chant, “The police with us”, meaning that even if the police are not now with “us”, they should be. One police union has even declared its support for the Yellow Vests. At roadblocks near borders in northern France, some Yellow Vests have demanded to know the nationality of drivers and inspected lorries for immigrants, turning people over to the border police and often bragging that they are doing the work of the police better than the police themselves. There’s been much debate about the degree to which the movement is led or being used by the “far right”, meaning not Macron (who’s called a centrist only because almost all of the forces to his “left” have collapsed), but Le Pen’s Rassemblement National (formerly known as the FN, National Front) and the remnants of France’s traditional right, now even more openly fascist than Le Pen, who recently has been trying to seem more inclusive. There are clearly fascist forces directly involved, including “Catho-fascho” (fascists encouraged by priests and bishops), upper middle class youth fighting groups, “identitarians”, currently illegal fascist terrorist groups, royalists and others. To some extent the regions where the Yellow Vests have been strongest map onto those where Le Pen did best in the previous presidential elections. Many Yellow Vests say they are apolitical and don’t vote for anyone, but with some exceptions, few are against the role played by Le Pen supporters in their movement, and the frequent appearance of fascist banners in mass protests has further normalized their presence in the country. Macron and the party he created overnight came to power as an “alternative” to all of the old main parties of the traditional right and left whose collapse signified the collapsing legitimacy of the broader political establishment. His project is to dismantle the old social-democratic welfare state that claimed to stand for “social solidarity” between all classes, while restoring the legitimacy of the current bourgeois-democratic, parliamentary political set-up. For instance, Macron rejected the small and almost symbolic increase in the minimum wage that presidents traditionally grant, arguing that his goal is not to improve the conditions of people in poverty but get rid of poverty by making French capitalists more competitive in the world. This hasn’t worked. The enthusiasm among many people of all classes that led to his election has been followed by a situation where most in the middle and lower classes feel like he is picking their pockets for the benefit of the rich. This had led to a further delegitimization of the existing political structure. Again, the Yellow Vest movement cannot be evaluated as an isolated phenomenon. Le Pen’s fascist party has been a major force on France’s political scene for over a generation; not only did she make it to the run-offs for President 18 months ago, but her party is leading in the polls for the upcoming European Parliament elections. Le Pen has played a major role in shifting the whole political process to the right. As the mainstream of traditional French politics collapses, as it has in growing numbers of other Western countries, there is an increasing basis for major sections of the ruling class to support her bid for power. Macron is hoping that cancelling the fuel price hike will divide the Yellow Vests and cut off the most determined among them from those among the middle classes whose greatest concern is order, and undoubtedly to use an iron fist on hard-core elements who persist. But stepping up repression against a popular protest risks losing the support among those who look to him as a rampart against the fascists, even as this paves the way for the even more clearly authoritarian Le Pen. The “far left”, meaning especially Jean-Luc Melenchon, head of La France Insoumise (France Unbowed), echoed Le Pen’s call for Macron to step down and make way for new elections. Instead of building people’s understanding and ability to stop fascism through their own independent mass action, Melenchon is putting forward working through the very channels that have brought about this situation in the first place as the only way to put a halt to it. That’s a reactionary and potentially disastrous game based on a terrible underestimation of the danger of fascism and an abandonment of the people’s interests. Melenchon’s programme, hailed by some as the “left populism” needed to combat Le Pen’s “right populism”, combines defense of the social welfare state with naked French nationalism. His support for the “republic” comes down to support for the continuity of the French state and French society more or less as it is today, proudly defending the welfare of “the French” against foreign rival states and upholding their relative privileges as citizens of one of the handful of countries whose great wealth has been built on the backs of the world’s peoples. But if you’re going to go with this kind of nationalist project, why settle for the toned-down version of the latecomer Melenchon, instead of the real deal, the unabashed and aggressive nationalism of the original fascist, Le Pen?! The “other France” the Yellow Vests represent are not the only suffering sections of the people. There is also the “other France” of urban, multinational poor working class and lower middle class districts. For example, there is a movement in Marseille protesting the recent collapse of two buildings that killed eight people in a teeming, lively multinational neighbourhood with some of the country’s most dilapidated housing. An angry march crossed a Yellow Vest procession. The Yellow Vests carried French flags. People in the other march told them to “flush that banner down the toilet.” After the marches converged, police started firing teargas grenades indiscriminately, not only at the protesters but also aiming into apartment building windows, killing an 80-year-old woman. All this poses the question of how to unite the oppressed. There are other, extremely important stirrings of discontent in France. On the same day as the first Yellow Vest demonstration of some 8,000 people in Paris, at least 20,000 and maybe many more mainly young women and some men marched against sexual violence against women. Many tens of thousands more took to the streets in secondary cities, a fresh sight in a country where the “Me too” movement has met resistance and the intellectual establishment likes to focus on the oppression of women in Moslem countries. Young women raised slogans explicitly targeting patriarchy and male supremacy. Their energy, anger, diversity and numbers totally overflowed expectations. This, too was a heterogeneous and contradictory thing, but it was fresh and forward-looking, with many participants longing for real, liberating social change, springing from a basic faultline in class society, the oppression of women that cannot be ended without transforming the world. How to go beyond the inevitably temporary intersection of different interest groups and unite the people against their enemy, the capitalist-imperialist ruling class and its state? Not like Melenchon, trying to unite different parts of the masses on the basis of nationalism and futile dreams of reviving the social-democratic welfare state. And not like the anarchists trying to prove that the character of the Yellow Vest movement can be changed and the movement led by proving to be the best street fighters against the police. The people can’t be united spontaneously. Revolutionaries can’t tail after anyone. Macron and the defenders of the established social democratic order in France have no answers to the oppression and suffeirng of the people. Nor do LePen and the fascist forces waiting in the wings and readying to pounce. These two contending forces ultimately represent different forms of the outmoded order of exploitation, oppression, wars for empire, and environmental catastrophe, and LePen’s fascist alternative promises only to step all this up and do it all more violently and efficiently. As the Yellow Vest protests rock the country, what is needed is, in the words of an Open Letter on the Midterm elections in the US (revcom.us), “… a radically different alternative, a third future – a radical break with all camps of imperialism, a different society based on eliminating all forms of exploitation and oppression, overcoming the social relations, morality and ways of thinking that have been stamped on people by trying to survive in those societies, one that is as different from today as day from night. A future for the emancipation of humanity. 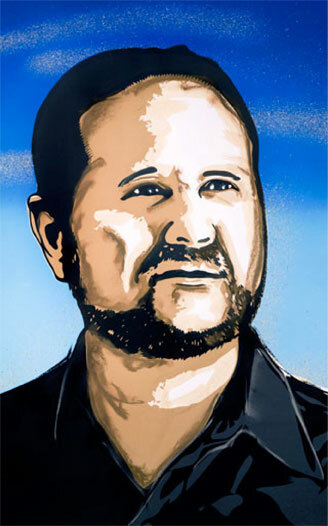 There is today a highly developed vision and strategy and a leadership founded on a scientific method for understanding the dynamics of society and how it could be radically transformed through revolution.” This alternative – Bob Avakian’s new communism – needs urgently to be placed in the hands of a core of people in France who can stride boldly into these stormy seas, so that more and more people begin to understand the real situation and become transformed to fight amidst it for the emancipation of humanity. The government congratulated itself that “only” 125,000 people came out, according to its statistics – a very large number considering its threat to use stronger teargas, beatings, pre-emptive mass arrests and maybe live bullets. In fact, 2,000 people were detained and at least 1,200 among them jailed. Some 89,000 gendarmes and CRS paramilitary forces were called out that day nationwide, in addition to the regular police. In Paris, major football matches, concerts and all other events where crowds gather were cancelled. Museums closed, as well as key tourist sites like the Eiffel Tower. The dozen armoured vehicles surrounding the Arc de Triumphe enabled the security forces to hold it this time, but the tens of thousands of of people who flooded the streets across the city two weeks before Christmas were not shoppers. Department stores were shut, shop windows boarded up, cafes took their tables and chairs inside and few civilian vehicles were to be seen. The police kept larger groups of protesters surrounded, but scattered, small groups of people driven from the Champs-Elysees and others coming from all directions played cat-and-mouse with the security forces, repeatedly confronting them until a wind and rainstorm that night. Yellow Vest encampments continue to stake out roundabouts in every region, but the situation is no longer so directly defined by the rural areas or even the movement itself. The huge numbers of people entering cities to protest on Saturday often found themselves fighting in the streets alongside students and urban youth of all social classes and people who identify with other social movements. This happened in Toulouse and Nantes, which saw some of the most important clashes, as well as Paris. Many more teenagers and university-age protesters were on the capital’s streets than the previous three Saturdays. There and in several other cities large contingents of environmental activists converged with Yellow Vest concentrations. This is especially significant since the authorities and their intellectuals have depicted the Yellow Vests as opposed to ecological concerns. Yet often these convergences took place on Yellow Vest terms, as a movement of the French people against a wealthy elite disrupting the unity of the nation. Environmental activists and other leftists in Paris hung two very large canvases across a statue of Marianne, symbol of the 1789 French revolution. One depicted her as usual, waving the French flag with one hand and carrying a rifle with the other as she leads the people into battle to overthrow the monarchy, only now wearing a yellow vest over her usually naked torso. The other screamed, “Give us our money back”, referencing the anti-tax hatred now being expressed by much of French society as a whole, in all its class, ethnic, gender and other diversity. A large banner saying “Furious, not fascist” went against the trend to avoid making distinctions in the name of unity. France’s political crisis is growing all the more acute because neither repression nor concessions seems likely to stop it. Solutions within the framework of “normal” politics seem difficult and tenuous. What is known as the “political class” is paralysed and dispirited and finds itself with little argument or even much will to oppose the claim of fascists like Marine Le Pen that only they can hold France together. The call for turning over the state to the armed forces chief of staff fired by Macron no longer seems like total lunacy. What makes the situation so dangerous is not only all that, but the fact that the mainstream of the Yellow Vest movement and many other political forces tailing in its wake are prisoners of an inherently, if not always obviously, nationalist outlook that can prove easy prey for organised fascist forces. There are deep divisions in French society about who gets to be considered really French – especially regarding immigrants and their children and grandchildren in the ghettos. “Power to the people” could mean different things. Many people from the excluded sections of society tend to support the Yellow Vest demands, despite their nervousness about racism. At the same time, many rural and urban Yellow Vest supporters share establishment fears that this political disorder may facilitate ghetto rebellions against the prevailing social order of the kind that shook the country in 2005. While many Yellow Vest supporters defend the anti-police violence associated with this movement as necessary to make their voices heard, some of these same people and others who feel threatened by disorder blame it on ghetto youth. This was true even before now, when some ghetto youth in tracksuits and hoodies are coming into the city centres to confront the police whom they, more than anyone, have reason to hate. About half the inhabitants of Mantes-la-Jolie , the site of several ghetto rebellions in recent decades, live in overcrowded public housing towers surrounded by open fields. They are separated from the rest of the town and the nearly inaccessible capital city not so much by distance as deliberate transportation barriers. When multiracial high school students blocked school entrances and set fires as part of the national wave of revolt, the police arrested about 150 of them immediately. Videos seen by millions show the school kids, some as young as 12, lined up against a wall or forced to kneel in rows with their hands behind their heads, often tied, as police taunt them, standing over them as if they were about to be executed. Nothing like this has happened to all-“white” groups of protesters, even rioters. In Paris and several cities on the following Saturday, rows of protesters facing off with security forces took to their knees with their hands behind their heads in solidarity with the Mantes-la-Joie pupils.